Family Lukšić offers you two studio apartments, each appropriate for two persons, situated in a newly renovated stone house which has been completely renovated. 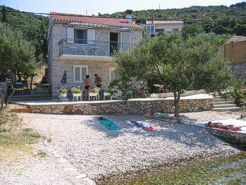 The house is close to the sea, therefore suitable for guests bringing their own boat. In front of the house there is a private parking place. Apartments are new and well-equipped and guests are welcome to use the barbecue in the garden. These are prices by the day for an apartment. 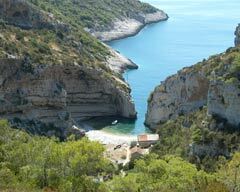 The price include the residence tax which must be paid by the day for all guests over 12 years.